There are very few graded races that have passed Paul Nicholls by throughout his distinguished career, but this is one of them. 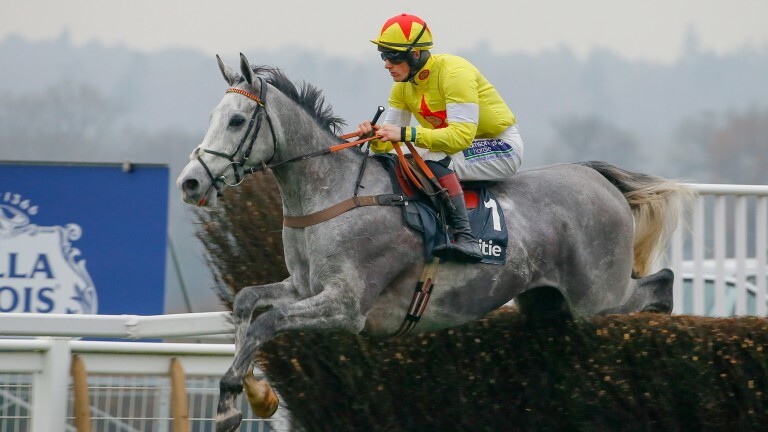 He will be hoping to put that right with Politologue who is two from two over fences this season and won his first chase at the track earlier this season. He faces five opponents including Waiting Patiently who is bidding for a four-timer, the last two successes coming for Malcolm Jefferson. This race has a rich history of producing quality chasers since it was first run in 1996, when Nahthen Lad won here en route to RSA Chase glory. In more recent times Our Armageddon (2004 Cathcart Challenge Cup), My Way de Solzen (2007 Arkle) and Taquin Du Seuil (2014 JLT) have all tasted victory before going on to win at the Cheltenham Festival. Tom George has a super record with his chasers at Haydock. The Gloucestershire handler is five from 15, a 33 per cent strike-rate, and backing such runners to a £1 level stake would have yielded a +£22.00 profit. He saddles Bun Doran. He won at Haydock earlier in the season and won well at Ascot. We're trying to build up some more experience for the spring so this was an ideal race for him. This has been his target for a bit. He won well at Newcastle, he likes soft ground and he won over hurdles at the track so, yeah, we're expecting a good run. He showed a lot of promise last season and he's still young. He has matured and strengthened over the summer. It's a warm novice chase but he deserved to take his chance. He'll handle the ground as he goes on anything but it's a tough ask. We're very happy with him and expect him run well. He's done nothing wrong and deserves his chance. We're stepping into another league, but he's been impressive in his races so far and the form looks good. He came back into the saddling enclosure after Newbury and was still making a noise so you can put a massive line through that run. He's had a wind op since and if it works we come with a big chance. He wasn't fully wound up when second to Silsol [November 2015], and I felt there was more to come. For whatever reason, and it wasn't the horse's fault, he's had silly little niggles after. I've done enough talking about him and all his form stacks up brilliant. The ultimate plan is the RSA, with a run in between, but let's get tomorrow out of the way. We're probably aiming a bit high but he ran well first time over fences and most of the others are giving him weight. This should tell us where we ought to be running him this season.